Abenomics - the cure for deflation? Japan's Prime Minister Shinzo Abe is on a mission to reverse the country's worst economic problem: more than a decade of deflation or falling consumer prices. The trend has been a big hurdle to Japan's attempts to boost domestic demand as consumers tend to put off purchases in hope of a cheaper deal later on. He has said that triggering inflation is key to reviving growth in the Japanese economy. 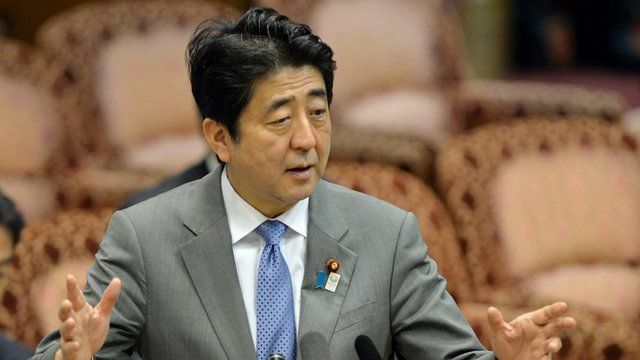 His aggressive policy stance is now popularly referred to as "Abenomics". But what does it really mean? The BBC's Rupert Wingfield-Hayes explains.